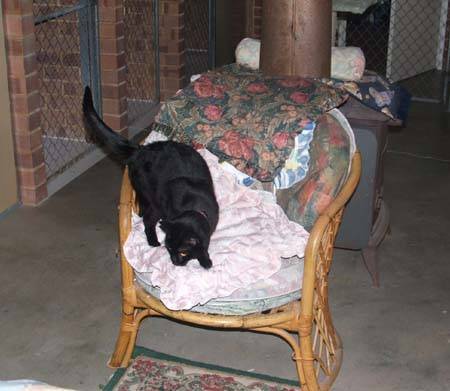 The cattery is situated in a different area of our property from the boarding kennels. The cattery underwent major refurbishment during the month of March 2008. Individual & Special diets can be catered for but this may attract an extra charge. We also monitor both the cat's food intake and toilet habits daily to make sure they are adapting to their new surroundings. Pick-up and delivery is available by prior arrangement ONLY. Prices on request. No Pick Up or Delivery of guests on Christmas Day, Boxing Day, New Years Day or Good Friday. Vaccination Certificates must be sighted before a cat is accepted as a boarder. We have 26 (8 are double) safe and secure cat units. More than this and it would not be possible to offer the high standard of individual care to each feline guest. All units have access to individual secure outdoor areas which have chairs in them. All units have a separate sleeping area that also gives our feline guests their privacy. We supply a comfy padded velour bed for each guest but guests are welcome to bring their own beds if it will help them settle for their stay with us. Our cat units are enclosed on three sides, which means the cats can not see, or be seen by, the cat either side of them - very important for their dignity! We can accommodate 2 cats from the same household together in a double unit if required. We will not house more than 3 cats from the same household per double unit. We have a radio playing to make our guests feel more at home. Reverse cycle air-conditioning keeps our guests comfortable when needed. Our cat units are cleaned twice daily and litter trays changed twice daily. 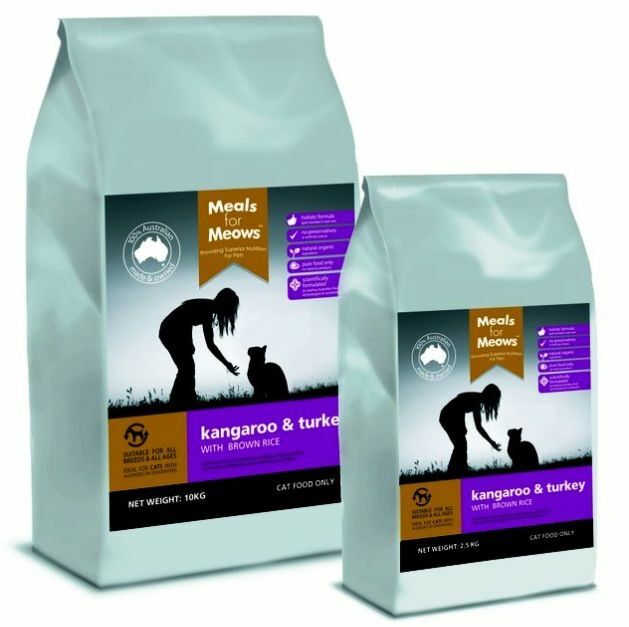 We feed and recommend Meals For Meows Cat Biscuits & Fancy Feast Canned Food. We also have a selection of fresh minces and other Canned & Dry food to tempt the fussiest of eaters. All cats must be treated for fleas on arrival (unless already done so by owner, proof of which is required). Frontline, Advantage and Revolution are acceptable products. If your cat is not already flea treated, we offer an application of Frontline for your cat for a small fee. This is necessary to ensure no cat brings in, or takes home, fleas or ticks!